YouTube as the 2nd largest search engine with over 1 billion individual user is undoubtedly the king of video hosting, but that doesn’t necessarily mean it is the best one for your videos. One main competitor for YouTube is Wistia. Let´s examine the pros and cons of each so when the time comes your can make the appropriate decision. Often the public´s first stop when looking for a video. For Google search results YouTube also shows up first because they are owned by Google. 1 billion unique users meaning wider range of possible viewers. Free HD hosting to as many videos as you want. Supports most formats of video. You can unintentionally draw attention to your competitors through the related videos bar. If one clicks on the YouTube video in a Google search they will be sent to YouTube not your site. Heatmaps of what part of your video is being watched, skipped, or rewatched. Player can be customized to fit the design and color scheme of your website or company. Easy lead tools such as clickable call to actions. Integrated email marketing tools such as email collectors that are hooked up to your email lists. Analysis of video engagement based on country and time after the video was posted. When your video shows up on a search result it takes the viewer directly to your site not Wistia. Price—Ranges from 0 to 300 a month. Given YouTube is free service there is no reason to not put your videos on YouTube, but that doesn’t mean that you should stop there. If your budget can allow it you should invest in Wistia. The video analytics and fact that your video will link back to your site not a third party site will greatly improve your video SEO and customer acquisition. Wistia far superior to YouTube for marketers, but it comes at a price of $300-$3600 a year. No matter what video hosting site you choose, Sezion can help you automatically edit or generate your videos in a simple, fast, scalable way on your own website or app. 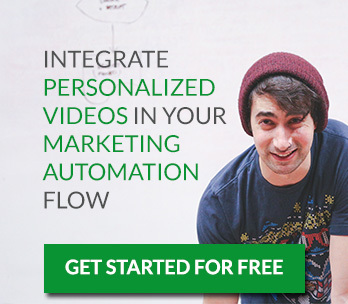 Can you imagine how much money would you save by automatically making hundreds or thousands of videos? Get started for FREE or get your FREE Consultation and Demo! Web video editing, makevideos, sezion, video, wistia, wistiacons, wistiapros, wistiavsyoutube, youtube, YouTubeAlternatives, youtubecons, youtubepros, youtubevswistia. permalink.